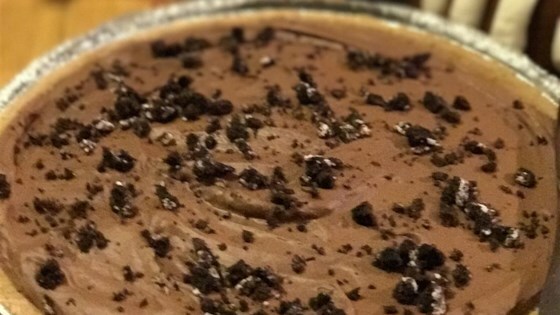 "Chocolate pie. Please note this pie uses raw eggs which should not be consumed by children, pregnant women, or the elderly. Be sure to use only fresh eggs for this recipe." It tasted great, but it never set. I'm guessing that I did something wrong so I'll try making this again.